Dogs with aggressive tendencies who reside on a rented property raise serious legal concerns for property owners. Property owners need to be concerned about landlord dog bite liability. Aggressive dogs pose implications for landlord dog bite liability, and this may not be entirely realized by the landlord or his agents. Such danger was recently exemplified in a fatal dog attack in California that happened in February 2017. Seventy-six-year-old Valentin Herrera was walking his Pomeranian in the late afternoon in the Lincoln Heights area of Los Angeles. Two off-leash pit bulls escaped from the rental property in which they had been residing. The pit bulls attacked and killed attacked and killed the Herrera’s Pomeranian. Herrera was pulled to the ground. His head slammed into the ground causing arm injury and brain damage. Herrera died a month later. Public safety is often at risk when a pit bull attacks an unfamiliar dog in a public setting. People are usually nearby, as in the case of a dog being walked. The highly aroused pit bull might redirect its aggression to a nearby person. And injury may result if the person intervenes in an attempt to stop the fight. Instances like these exemplify the danger of how a dog’s aggressive tendencies towards another unfamiliar dog in a public setting poses risk to public safety. In California, a lawsuit based strict liability can be brought against the landlord if they possessed prior knowledge of a dog’s dangerous tendencies. And criminal penalties might be imposed if the dog seriously injures or kills another dog or person. Input from animal behavior dog bite expert witness can help prove the landlord had actual knowledge of the dog’s dangerous tendencies. The animal behavior expert witness can opine about what the landlord should have known about the danger the dog presented to public safety. Was the incident was foreseeable? Questions about landlord dog bite liability are discussed elsewhere on this website. I direct the reader to a widely cited California appellate decision, Dunchin v. Guererra (1995) 34 Cal.App.4th 1832. 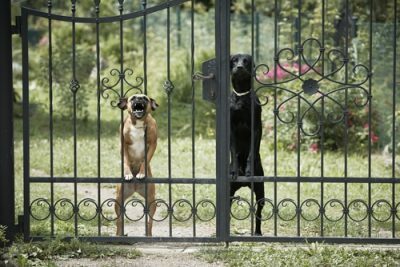 The website on dog bite law by attorney Ken Phillips also provides useful information about landlord dog bite liability.